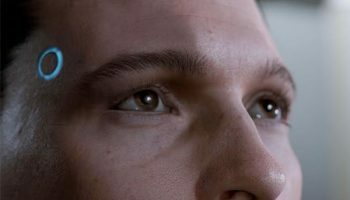 ‘The Last Guardian’ Review – Spotlight Report "The Best Entertainment Website in Oz"
After numerous production issues, Japan Studio returns in all its glory with another chapter in the Ico/Shadow of the Colossus mythology, as The Last Guardian finally arrives on Ps4. Like in previous game hits, the studio manages to deliver pure magic by using the simplicity of its characters and the interaction between them, this time by following the adventures of a kid who for no apparent reason wakes up next to a dog/bat/monkey like creature that he names “Trico”. 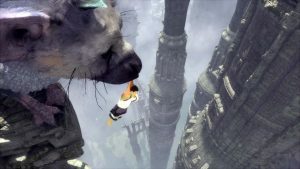 From then onwards, the game play is all about the growing relationship between human and beast, with the latter having its own AI, allowing Trico to learn and follow commands like a true pet. The beautifully crafted story and the old-school styled graphics help to create journey like never before, and at times making players feel like if they were in a Miyazaki film. Gameplay feels a bit outdated, very much like in any PS2 adventure/rpg game. Moreover, the camera is extremely frustrating, has it doesn’t allow the player to have wider views or fluent motion. Unfortunately, the game has way too many bugs, forcing you to restart the console in order to continue across some areas. 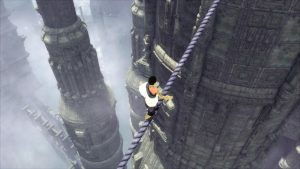 What’s more, at one stage you get the capability to give instructions to Trico,however, things not always go as planned as Trico just feels confused and just looks at you, forcing the player to be stuck in a puzzle for long time. Despite its flaws, “The Last Guardian” its a triumph, and shows that simplicity can also be amusing as far as there is a good story to tell and relatable characters that grow with you during the different levels of the game.